From ACT 6 Experience With Love: Linda Ruth Reports — Stories, And The People Who Tell Them. Chapter 8. The final morning of the Magazine Innovation Center’s Act 6 was devoted to the craft and the power of storytelling. As a child, Liz Vaccariello expressed a wish to her father that she might, through writing and editing, share stories with others. Decades later, she told that story in her first letter as Editor in Chief of Readers Digest, and the response of her readers was extraordinary. She received 400 letters that week. Since then, she has told a story in every editor’s letter, and her use of storytelling to connect with her readers has become a hallmark of her time at the Reader’s Digest. Storytelling, Vaccariello told the group of students, faculty, and publishing professionals at Act 6, has made Reader’s Digest first among its competitive set in time spent with the magazine, with readers spending almost a full hour with every issue. So what is a story? It has a beginning, middle and end; it is designed to interest, arouse, or instruct. But the key to a great story is its power to connect emotionally to the reader. Through that connection, Vaccariello said, stories become a powerful way to change something, to provide meaning, to build connections. And part of the job of a great editor is to find the great stories. That requires reading everything, and in so doing, to ask: do I feel something? Readers look to Vaccariello’s publication to make them feel understood. To surprise them with a secret, or a laugh, or moment of delight, or an unexpected cause for pride. Even sadness and outrage are emotions that a reader will welcome when a great story elicits them. Great stories can change lives, Vaccariello told the group. Storytelling in the context of family is a powerful bond from generation to generation. Children who hear stories from their parents and grandparents about how they, over the years, met and overcame adversity, are more resilient. “We speak of disruption in publishing,” Pierce told the group. “Think of the disruption in the life of Robert B Thomas, who was born in 1766, and launched the Almanac when he was only 26 years old. He was born on a farm, and before he was grown he saw how a ragtag group of farmers stood up to the might of the British Empire.” That first issue was 46 pages, with a print run of 3000 copies. And there was no RDA, no placement fees…and no returns. With this auspicious start, Thomas tripled the draw the following year. In 1816, Pierce related, late to meet his press date, the printer called to ask for Thomas’ July weather forecast. Thomas irritably replied, “Call for rain, hail and snow!” And the printer dropped that prediction, which briefly made a laughingstock out of Thomas, into the publication. But that was the year that the eruption, in the Dutch East Indies, of Mount Tambora, brought “The Year Without a Summer”—along with a July snowfall in Boston. 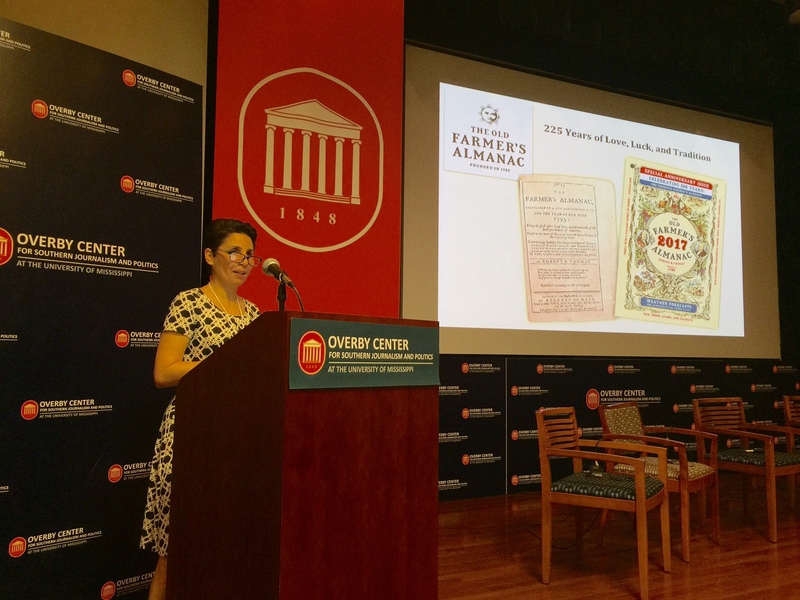 It was a disaster for farmers, but it made a lasting name for Robert B. Thomas, and for his Almanac. While the Old Farmer’s Almanac has changed with the times, many things have remained the same. The cover engravings of seasonal images and portraits of Ben Franklin and Robert B Thomas hark back to 1851, as does the iconic hole in the corner of the cover, useful to hang for year-round reference. The 1858 Almanac was used by the young lawyer Abraham, defending a client accused of a midnight murder. The Almanac’s corroborating proof that the night in question was moonless was key to Lincoln’s client’s acquital. The Old Farmer’s Almanac has long been proud of its trend of continuous publishing. When the US Office of Censorship asked the publisher to cease publication for the duration of World War Two—two German spies had been found in possession of a copy, thought to be helpful in planning forays around weather and tides—the publisher asked for, and was granted, permission to continue, with the agreement to leave out the weather and continue with indications and proverbs for the duration of the war. From ACT 6 With Love: Tony Silber Reports*: Mr. Indefatigable — A Reflection On Samir Husni And His Advocacy Of Print Media. Chapter 7. Media-industry conferences run the gamut. You get the super trendy ones, like SXSW, in equally trendy locations. You get monster events like CES, to which media execs gravitate every January. You get the new-media boutique events, with the hottest digital-media brands represented and the young savants in skinny jeans with all the answers. You also have the more pedestrian ones, the workhorse events, not showhorse conferences. There are association events, regional events, B2B events, marketing events, social-media events, hosted-buyer events, big-tent events like our own Folio: Show, and small executive forums. 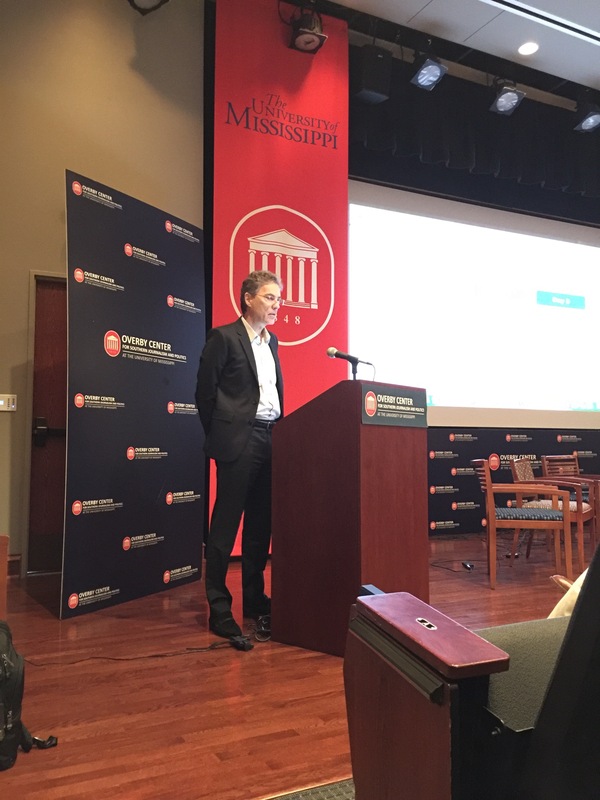 And then you have the ACT Conference, the sixth iteration of which I attended last week in Oxford, Mississippi. 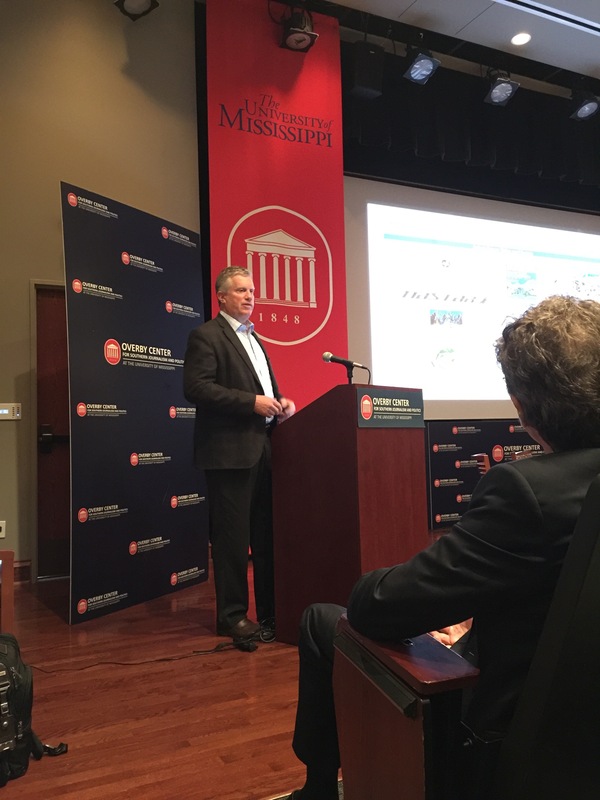 (ACT is an acronym that stands for “Amplify, Clarify, Testify.”) ACT is run by Samir Husni, the Ole Miss J-school professor, who over the last 25 years has become one of the best-known people in the magazine industry. The ACT conference is a different kind of event. It’s small. Only perhaps 100-130 people attend, give or take. Since it’s held at a university, the students also attend. Sometimes Samir pairs them with industry figures, mentee to mentor. It’s way off the beaten path for the media industry. That’s part of its charm. It’s a different perspective for sometimes-jaded media people. Each year, Samir attracts several major industry figures as speakers. This year, he brought in most of the participants in the supply chain of that most beleaguered part of the business: the newsstand. Samir hosted a special meeting of wholesalers and publishers. He brought in Hubert Boehle, CEO of Bauer Publishing, the German company that is probably the most successful company on the newsstand in the United States. Interestingly, Boehle said Germany, a country about one-fifth the size of the U.S. and Canada, generates the same revenue from the newsstand as does North America. The “why” of that is a story in itself. Samir brought in Andy Clurman, CEO one Active Interest Media, of the most successful enthusiast-media companies in the country; and Liz Vaccariello, editor-in-chief of Reader’s Digest; Sid Evans, editor in chief of Southern Living; Sherin Pierce, Publisher/VP, The Old Farmer’s Almanac; and Daniel Fuchs, Publisher and Chief Revenue Officer, HGTV Magazine, among others. Samir brings in those people because of his stature in the business—and because of his decades-long advocacy. 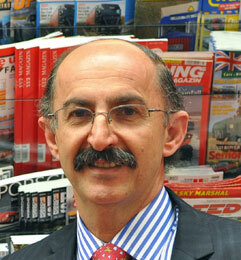 Samir Husni is an unapologetic believer in the enduring strength of print media, and that’s what his conference is about. No ifs, ands or buts. I gave the conference-opening “State of the Industry” report, and truth be told, I thought about that contextual reality before I made my presentation. LOL. Samir calls himself “Mr. Magazine.” Last I saw his car, it was even on his license plate. I’ve known him for a long time. In that time, he’s been tireless and persuasive, generous and inclusive. Maybe “Mr. Indefatigable” is just as appropriate. Because of his advocacy, plus his unrelenting determination to make his case and push his cause, plus his 30-year run of cataloging all the print-magazine launches of the year—and selecting the most important 30 of them—Samir is as well-known and respected as anyone in the business. Now, for the last several years, he’s added a worthwhile media conference to his portfolio—one with a decided point of view. * Tony Silber is vice president at Folio: and he published those reflections on the Folio: website here. Reposted with permission. From ACT 6 Experience With Love: Making Money In Print. Chapter 6. This is the segment of the ACT 6 Experience that focused on making money in print and what people are doing today to ensure that the revenue streams continue, whether it’s from circulation or advertising. Magazine Power is going to be a combination of the different ways and means by which people can still generate revenue from print, whether it is advertising in established magazines; advertising in new magazines, or bookazines and how those publications are making money. Making Money in Print and the power of magazines was moderated by Brian F. O’Leary, Principal, Magellan Media Consulting Partners, with the following panelists listed in alphabetical order: Newt Collinson, Chairman and Founder, Collinson Media & Events, Jim Elliott, President, The James G. Elliott Co. Inc., Daniel Fuchs, Publisher and Chief Revenue Officer, HGTV magazine, and Fred J. Parry, Publisher, Inside Columbia Magazine. What follows are the individual presentations of the panelists followed by the panel discussion moderated by Brian F. O’Leary. 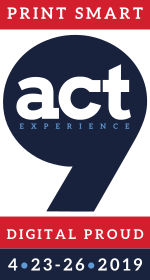 And stay tuned as we post more videos from the ACT 6 Experience and more reports from Linda Ruth about the ACT 6 Experience. From ACT 6 Experience With Love: Cover Data Analysis For Editors. Chapter 5. 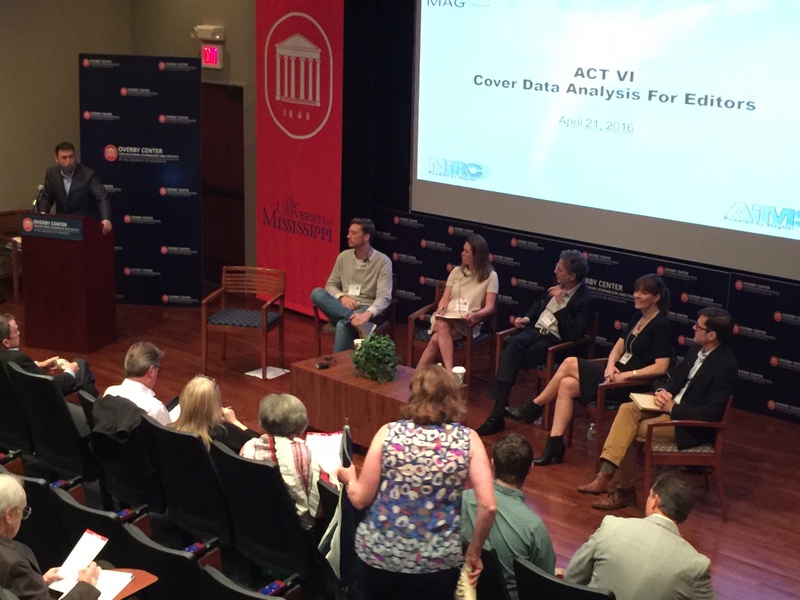 Cover Data Analysis For Editors – This riveting panel discussion about how print editorial staffs can learn more about consumers, their likes/dislikes, and how to attract more newsstand buyers in a competitive, distracted world was a big hit at the ACT 6 Experience. The panel of distinguished editors from Reader’s Digest, Southern Living, First for Women, Simple Grace, Success and Hoffman Media discussed and dissected magazine cover lines, cover image types, positioning, and “do’s” and “don’ts” regarding covers, all using smart data modeling. Brooke Bell, Director of Editorial Operations, Hoffman Media, Josh Ellis, Editor in Chief, Success magazine, Sid Evans, Editor in Chief, Southern Living magazine, Carey Ostergard, Deputy Editor, First for Women and Simple Grace, and Liz Vaccariello, Editor in Chief, Reader’s Digest magazine. Click on the video below to watch the entire panel discussion from the ACT 6 Experience. Stay tuned for more videos from the ACT 6 Experience. From ACT 6 Experience With Love: Professor Naomi S. Baron On Millennials And Print. Chapter 4. 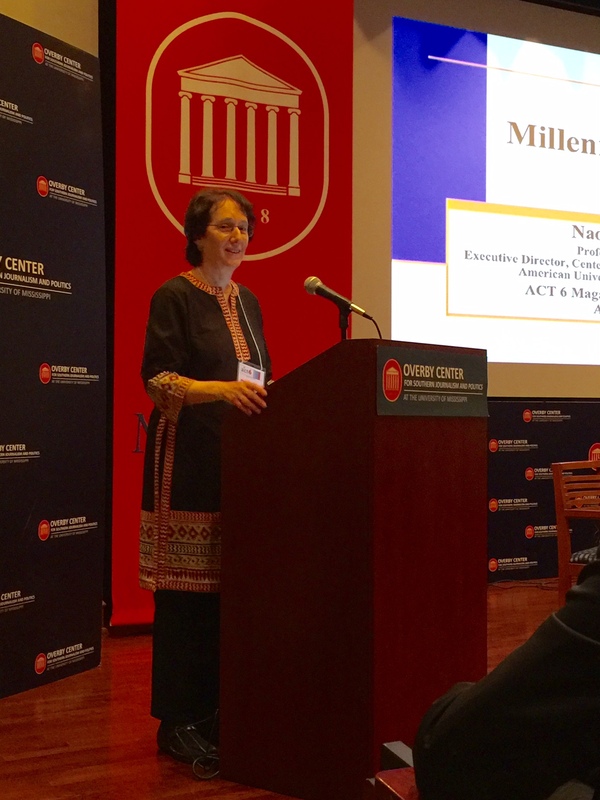 In a keynote address at the ACT 6 Experience, Professor Naomi S. Baron, Executive Director, Center for Teaching, Research, and Learning, and Professor of Linguistics (World Languages & Cultures, CAS), at the American University in Washington, D.C., professor Baron presented her latest research regarding millennials and print. More presentations and reports from Linda Ruth will be posted as they become available. Stay tuned. From ACT 6 Experience With Love: Linda Ruth Reports– Lessons from Germany, and Responses from the US Wholesaler Channel. Chapter 3, Part 2. The focus was on the newsstand business, its relevancy to publishers, how to stabilize it, as well as the current and future roles of each of the channel members… wholesaler, national distributor, retailer, and publisher, and how we as an industry engage the retailer to promote and increase sales. 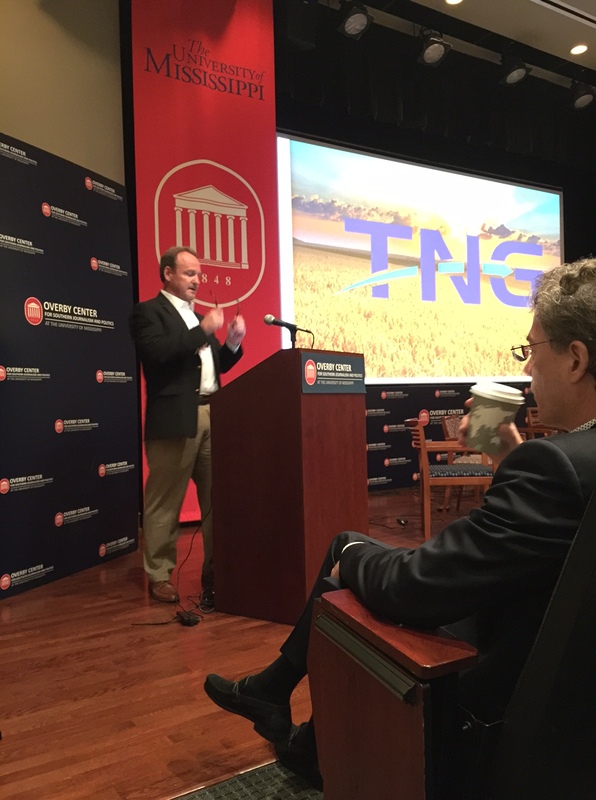 Wholesaler participants included David Parry, President & CEO of TNG and Shawn Everson, Chief Commercial Officer of Ingram Content Group. Three CEOs of magazine media companies also joined this segment of the ACT 6 Experience. They are Hubert Boehle, CEO of Bauer Magazine L.P., Andy Clurman, CEO of AIM (Active Interest Media) and Eric Hoffman, CEO of Hoffman Media. Videos of all the presentations will be posted on this site in addition to Linda Ruth’s reports. Linda, thankfully, accepted the role of the scribe of the ACT 6 Experience. All the videos are at the bottom of this blog. And now for part 2 from Chapter 3 as reported by Linda Ruth. Hubert Boehle, CEO of Bauer Media, came to ACT 6 to talk about the German newsstand magazine market, and lessons the US might draw from it. An American publisher might wonder why we in the US magazine market might want to look to Germany as a model to emulate? As an answer, the example of Bauer Media itself might provide sufficient reason. Bauer Media, a German publishing company, represents the largest seller, in terms of units, of magazines in the United States. 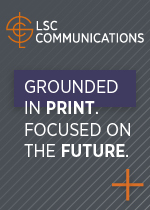 On a dollar basis, Bauer is the second-largest media company in the US. Further, in a newsstand-challenged age, newsstand accounts for 90% of the Bauer publications’ sales. A second reason to look to Germany for inspiration might be found in the nature of the German magazine market itself. Germany has a quarter of the population of the US, but its magazine revenue is equivalent—roughly $2.5 billion in each market. The average consumer in Germany spends about four times as much on magazines as the US consumer. Also, while sales and revenue have declined in both the US and Germany, the declines are not equivalent; Germany’s has been considerably smaller. Boehle identified several reasons for the differences in the magazine market, focusing on each player in the magazine publishing supply channel; and he suggested initiatives based on these differences. First, looking at the wholesale network, he finds it much more concentrated In Germany , with a much higher level of service. In an area the size of California, he pointed out, there are 54 wholesalers, who, owing to their density, know their customers well and visit them daily. Partly in consequence of this service level, Germany’s average overall magazine sales efficiency stands at 60%. By comparison, the average sell-through in the US is 26%. How, Boehle asks, can we create a better service level in the U.S? How can we support our wholesale partners to enable them to provide this level of service to their retailers? Part of the answer to that tracks back to the magazine publishers. Because publishing is profitable in Germany, publishers support their newsstand circulation. With higher efficiencies, and the lower costs resulting from fewer unsolds, there is more profit to all supply chain partners. This frees up a higher remit per copy sold to be paid to the publishers. Germany, in fact, remits about 60% of every retail dollar to the publisher, with 100% of sold copies paid a week after off sale. This allows for cover prices that are considerably lower, which in turn leads to multiple purchases by consumers at retail. The overall health of the newsstand channel is supported by the fact that German subscription prices are not deeply discounted, as they are in the US. The price of each issue of a magazine subscription is roughly the same as the same issue purchased on the newsstand. 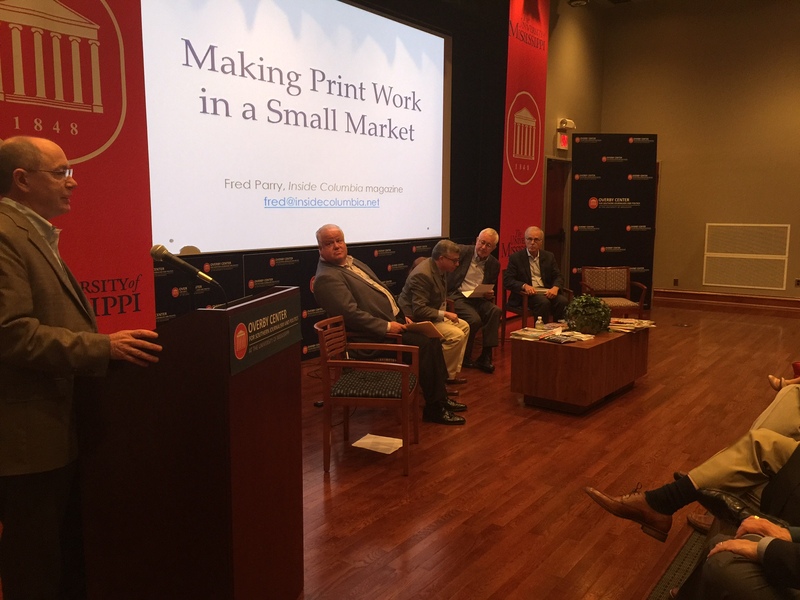 What similar incentives, Boehle asks, could be created that would encourage US publishers to invest in newsstand? While the US market is finding its incremental revenue through up-priced one-shots, specials, and bookazines, Boehle suggests that this approach is, at best, a band-aid to the problem. It takes a regular frequency to addict a customer to a magazine, a frequency that is supported by cover prices that make multiple purchases affordable. Germany’s market provides its readers hundreds of weeklies and bi-weeklies, as compared to the US market which provides only a handful of comparable frequency products. And with the larger publishers now using their checkout space to rotate their bookazines into, checkout space, which relies on the addictive and frequently-turned weeklies for its vitality, begins to lose its effectiveness. Profitability drops as the checkout titles are unable to provide the needed turns as frequently as needed. Another way to develop excitement and addiction at checkout is to provide frequent new releases to browse and buy. In the US, all publications go on sale the same day of the week. In Germany, they go on sale every day, incentivizing customers to look for fresh magazines more frequently. How can the US magazine market learn and benefit from these lessons? Perhaps, Boehle suggests, wholesalers might consider penalizing publishers with low subscription prices. Perhaps checkouts space should be reserved for higher-frequency titles. Publishers might consider reversing the push to higher-cost product and implementing lower cover prices. In fact, we in the US might re-think the entire checkout system. In Germany, magazines aren’t sold at checkouts—the mainlines are placed so you see them right away, coming into a store. The impulse at the checkout is becoming obsolete, as today people spend their time in the checkout lane looking at their phones. From a publisher’s point of view, each checkout lane has to be treated as a separate retailer, with its own allotment and order regulation, its own placement fee; and from a wholesaler’s point of view, the excess product in the checkout lanes exacerbates the return situation. Might it be possible, Boehle suggest, to rethink the dichotomy between checkout and mainline and, again emulating Germany, work on getting highly-visible mainline displays established in the vicinity of the checkouts,near the front of the stores? 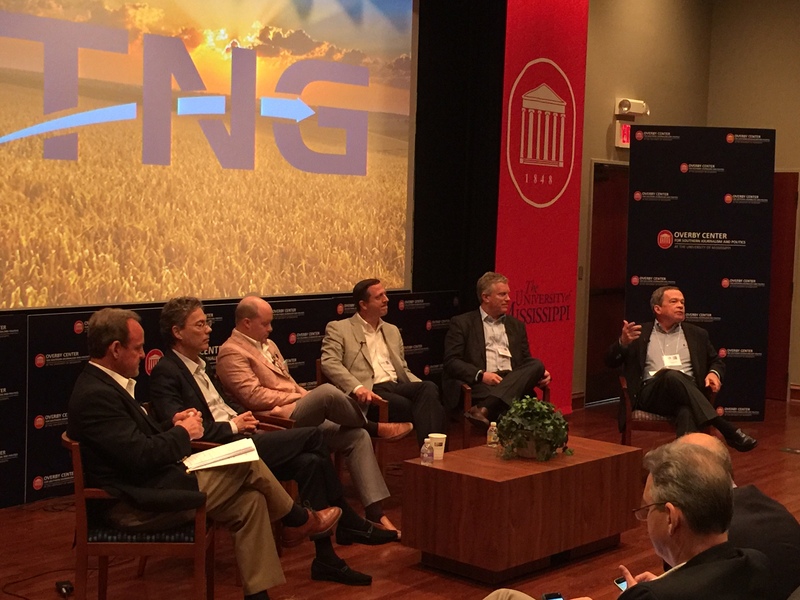 David Parry, the CEO of TNG, North America’s biggest magazine wholesaler, responded by speaking of TNG’s experience as a wholesaler with enormous fixed costs and declining net profits, in a market very different from Germany’s. Parry cautioned that, in getting publications to retailers throughout the country, in reimagining the newsstand, it is essential that the pressures are alleviated for all channel partners, and that continued viability is ensured all along the supply chain. With weekly delivery to over 70,000 retail locations in the US and Canada, and service provided at more-than-weekly frequency at retail level by over 10,000 TNG merchandisers who provide real-time reporting, a first order of business needs to be to ensure stabilization and survival of this channel, before looking to increase store visits or publisher remits. With 23 million units delivered weekly, and 1.2 billion annually, across an enormous geographic area, the challenges here are very different from the ones faced in the compact German market. 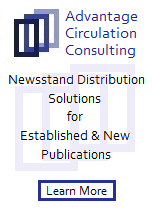 TNG, however, is working to develop new and innovative services far beyond the delivery of magazines. Parry acknowledged that all channel partners need to constantly innovate. But far from letting go of front end placement, he said, it is critical that we defend that space, as a priority among all channel partners. With beverages and snacks competing in droves for that placement, we are fighting for all the checkout space we can get. It is understood that people are making the lion’s share of their purchases within 100 feet of the front door, and that space is not simply up for grabs. Major consumer goods companies are looking at that same 100 feet, and they are tough competitors. TNG has experience with retailers that back up this perspective. Parry mentioned Chief Auto Parts, which tried four times with magazines, in four different places in their stores, and nothing worked until they put magazines at the front end. Other retailers, including, as an example, Loblaws, cut back on the placement of magazines at the front end and their customers protested. The chains were forced, by customer demand, to reinstate magazines at the checkout. Yet, Parry acknowledged, checkout merchandising does drive up costs, and TNG’s merchandisers do need to be in many stores up to three times a week. With the physical wire checkout pockets getting thinner, they need to be restocked more often, and that requires merchandising presence in the stores. What, from the viewpoint of a major wholesaler group, can be done then, to strengthen the supply channel and build profitability for channel partners? Parry suggests working collaboratively to re-invent checkout space; focusing on promotions and events calendars to generate excitement at retail, finding new places to display product in stores through outposts, and capitalizing on trends and opportunities. Local interest is big: Texas Monthly can outsell People in some markets. Adult coloring books came out of nowhere to sell over $15 million at retail. Publishers and wholesalers need to get a seat at the table with the retailers to find ways of supporting magazine sales together. Try using beacon technology and instant coupons; participate in mixed displays and cross-merchandising opportunities. 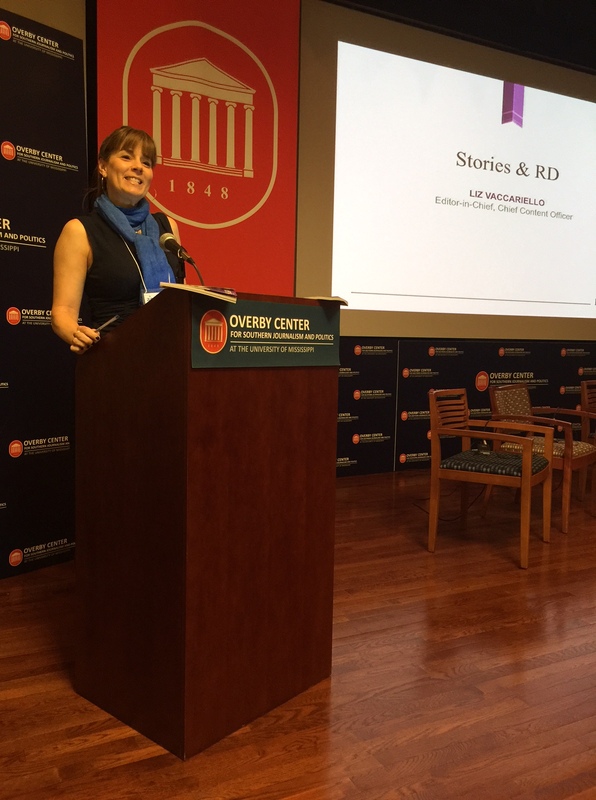 From ACT 6 Experience With Love: Linda Ruth Reports On “Reimagining The Newsstand” . Chapter 3, Part 1. Videos of all the presentations will be posted on this site in addition to Linda Ruth’s reports. Linda, thankfully, accepted the role of the scribe of the ACT 6 Experience. Andy Clurman of Active Interest Media spoke of the integrated approach and expanding reach of a successful publishing company. AIM is a case study in the flexibility and adaptability referenced by Folio’s Tony Silber on Act 6’s Day 1. The evolution of AIM has been such that, although it looks from the outside like a magazine publishing company, it has become much more than that. Yet AIM was built for and by magazines. AIM publishes special interest titles in categories grouped around marine, sports, home, healthy living, outdoor, and horses. With six different groups, each of which encompasses multiple sub-groups, and over 50 magazine brands, AIM creates events, videos, and marketing services. They have a digital audience, membership programs, and have created an online education program. The brands and the business were built on magazines, and around the content, authority, and audience of their magazine program. Clurman points out that, in building a company around the enthusiasm of the audience, entire groups can be, and are, run without a stitch of advertising, based on the wants and needs of the audience itself. As is indicated by the company’s name, the audience is actively engaged, connecting through print, digital, events, video, newsletters, classes, and social media. For AIM, partnerships with specialty retailers are an important piece of their brand development and monetization strategy. This could range from a connection relating to products that the retailer carries or highlights in the stores to, at the extreme end, creating an SIP based on the retailers priorities and making it available exclusively in retailer stores. Keys to building their brands, including publications that have dwindled and been marginalized, include upgrading the value of the publications through improving paper quality, cover and concept testing, developing specialty distribution, and partnering with distributors and retailers. It’s important to break down the silos and start talking to one another if we’re going to break out of the rut we’re in. We need to prove the efficacy of magazines as merchandisers. Magazines are the story-tellers that amplify the value of the products found in partner retailer stores. This creates a basis for mutually-beneficial partnerships. You are currently browsing the Mr. Magazine blog archives for April, 2016.